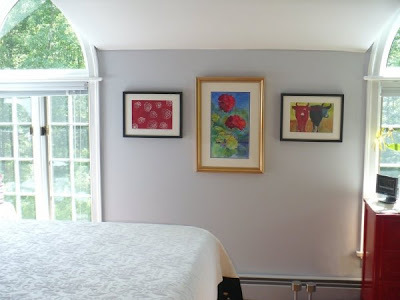 Susan and her husband have a beautiful large Gothic Revival style home that is full of artwork she has collected and also many she has painted herself. 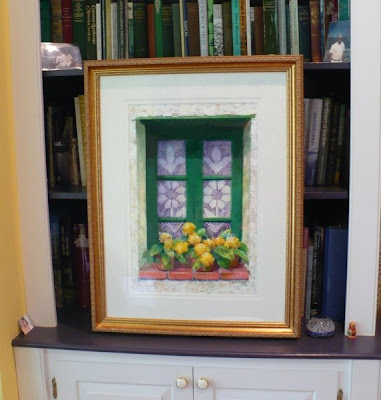 Directly above, you see a work she commissioned from me of a Provence window - a scene from her extensive travels in Europe. 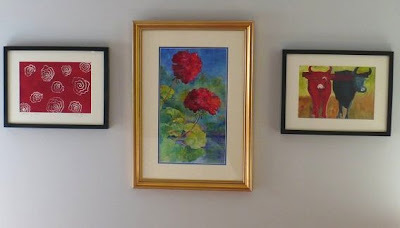 In one of the bedrooms is another Zeh Original, Geraniums by the Lake, which she has grouped with two of her own paintings. You can tell that she loves color! Thank you for sharing your collection with us, Susan.